On this day nearly 100 years ago, in 1919, the Grand Canyon National Park was born. To celebrate the park's birthday, we're calling on President Obama to protect the park and its watershed, from toxic uranium mining and other threats, for the next 97 years and beyond. The Grand Canyon's breathtaking landscape - its colorful rock, its canyon a mile deep - is famous throughout the world. And its history is as colorful and deep as it is. Scientists estimate the Colorado River carved the canyon 17 million years ago, and the walls of the canyon reveal the timeline of the Earth's history. Humans have explored and enjoyed the region for millienia, with more than three thousand Native American archaeological sites offering only a glimpse of the area's heritage. First protected as a Forest Preserve in the late 19th century, the Grand Canyon was among the first national monuments created by Teddy Roosevelt in 1909. Ten years later, Woodrow Wilson signed the Grand Canyon National Park Act into law. Today, 1 million acres of canyon is protected as a national park, with its sweeping vistas drawing roughly 5 million visitors a year for hiking, camping, rafting, and more. "The hike from the Grand Canyon National Park headquarters to the Hermit's Rest Overlook is one of the most beautiful in America. Incredible views greet hikers the entire way as the trail hugs the canyon's rim, looking out over the massive gorge down to the Colorado River. "At one point, however, the trail cuts away from the canyon. There, behind a rusty fence, sits the remnants of what was once one of the nation's biggest sources of uranium, the Orphan Mine. After sitting abandoned for decades, the mine's buildings were recently removed, but the ground around the site remains too contaminated for visitors to enter. "Hikers.. fill their water bottles from creeks that spill down from springs in the canyon walls to eventually join up with the Colorado. They don't, however, drink from Horn Creek, which emerges from the rock near the site of the Orphan Mine - the creek is too contaminated with uranium." Thanks to citizen organizing, uranium mining is now temporarily prohibited in the area around the Grand Canyon. But the practice could return in the future, and if it did, its toxic pollution wouldn't only threaten creeks like Horn Creek or the Colorado River, which provides drinking water to 25 million people. Also at stake are the area's 22 sensitive plants and animals, some found nowhere else in the world, including the Kaibab squirrel. So are critical wildlife corridors for iconic species like the mule dear. And so, too, is North America's largest intact old growth ponderosa pine forest. A proposed Greater Grand Canyon Heritage National Monument, encompassing 1.7 million acres around the park, would permanently ban new uranium mines, ensuring protection for wildlife, forests, and waters for generations to come. 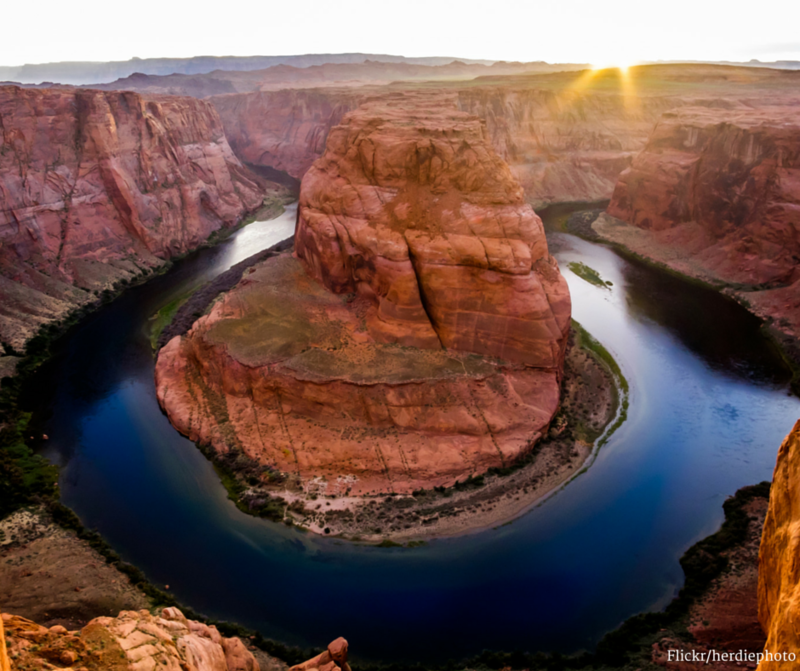 Support for protecting the greater watershed of the Grand Canyon is broad and deep. Conservation champion Rep. Raúl Grijalva (D-Ariz.) introduced legislation last fall to create the monument, winning the backing of the Navajo Nation and the Hopi, Havasupai, and Hualapai tribes, along with a broad coalition of conservation groups and outdoor businesses. 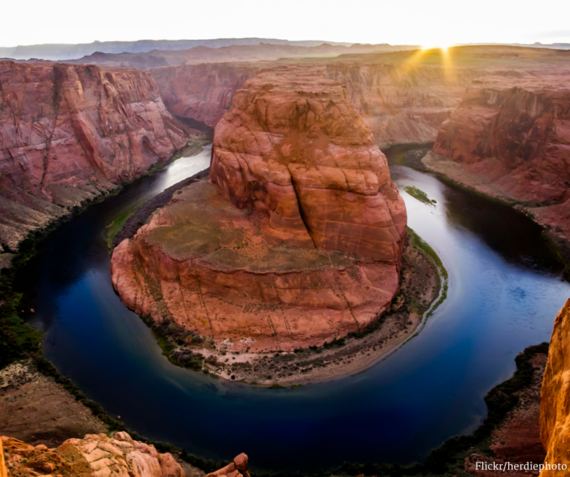 An Arizona poll released earlier this month found robust support for the monument proposal across partisan and demographic lines. It took millions of years for the Colorado River to form the Grand Canyon, but reckless uranium mining could spoil the area for generations. Join us today, on the birthday of the Grand Canyon National Park, to get President Obama to add one of the world's most amazing landscapes to his preservation legacy.